The inspiration for this app came from the daily struggle of choosing what to eat. One of our team members specifically faces the problem of wanting to eat but not knowing what. 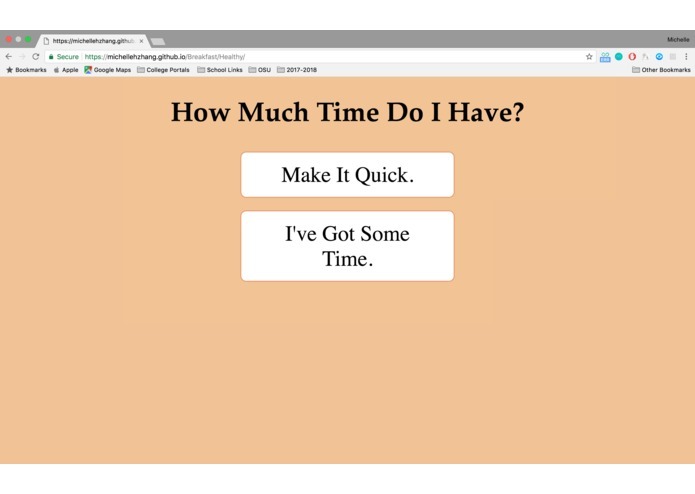 So we’ve built a website that makes the decision for people. 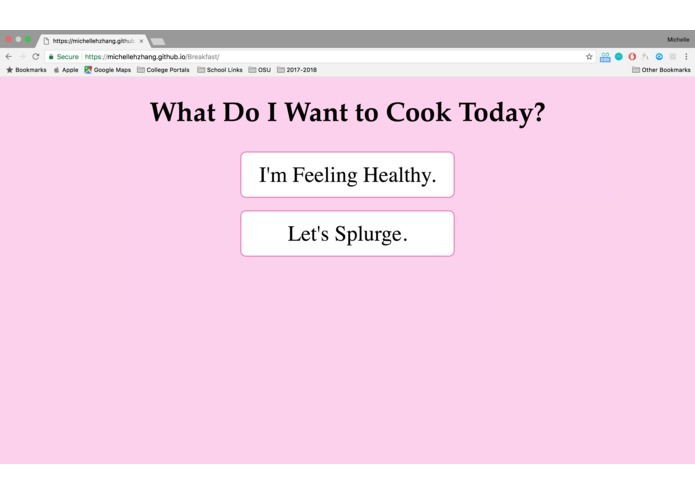 Our website formulates a series of questions that utilizes the users’ input to dial down the recipe that they would want. 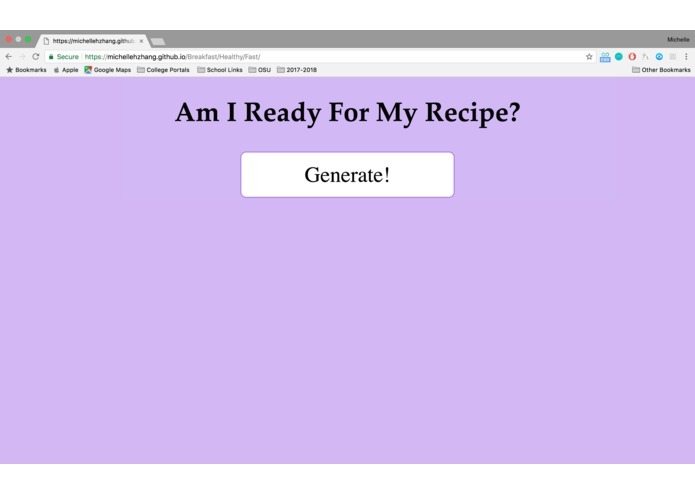 This website is based upon the idea of simplicity; it only asks the user three easy questions to randomly generate a recipe that best suits their needs. Following the advice of Ms. Nevatia during the UX/UI design workshop, we started with a basic hand drawn sketch of what we envisioned Food For (Less) Thought to be. Then we used NinjaMock and FlintoLite to get an idea of how our website would look on a digital interface. Some of the people in our group went from knowing little to no code at all to becoming somewhat fluent in HTML & CSS. 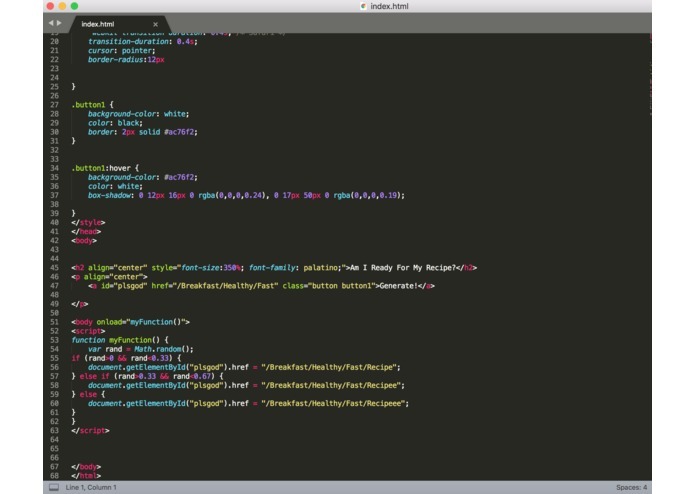 Also, we managed to make our code function the way we envisioned it to and added special features. This included changing background and button colors, button shapes, and text fonts. We’re particularly proud that we were able to add the feature of button shading when the user’s mouse hovers over the button, adding to the aesthetic effect of our overall site. We have all learned many lessons -- both in coding and in teamwork -- that we can use throughout our lives. We all gained knowledge on how to manage our time well and divvy up tasks to become more efficient as a team. This is not to mention that we worked through obstacles, considering different angles when seeking solutions. This wouldn’t have been possible without the mentors, from whom we realized that it was okay to ask for help. We learned to be more patient, sifting through lines and lines of code to find the one missing bracket or semicolon that prevented our code from running properly. Most importantly, though, as women in tech, we have gained confidence in our coding abilities and ourselves, skills that will be important in the future. One of our group members came into this Hackathon as a pre-med student, but over the course of 24 hours discovered how much she enjoyed coding HTML. Overall, we have all strengthened our perseverance, problem-solving skills, and teamwork, coming together to turn what was just a simple idea into a tangible reality. In the future, we would like to expand Food For (Less) Thought by making it more efficient through the addition of more features. 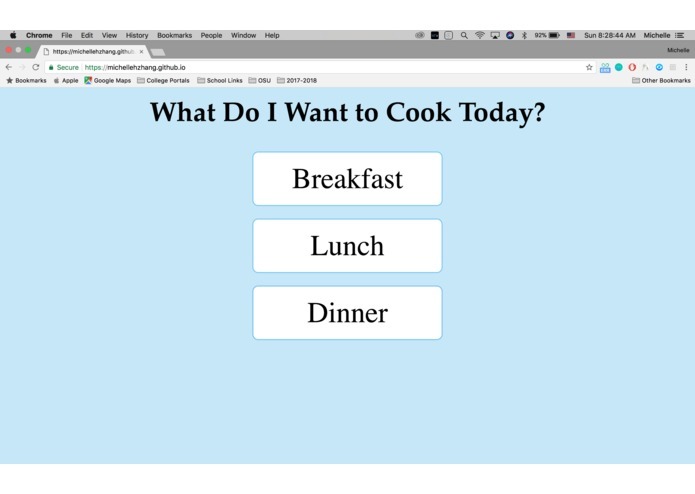 Rather than going through the tedious process of creating new folders every time we wanted to add a new recipe, we would like to incorporate a code or program that conveniently tracks user answers to draw a random recipe from a pre-categorized database. 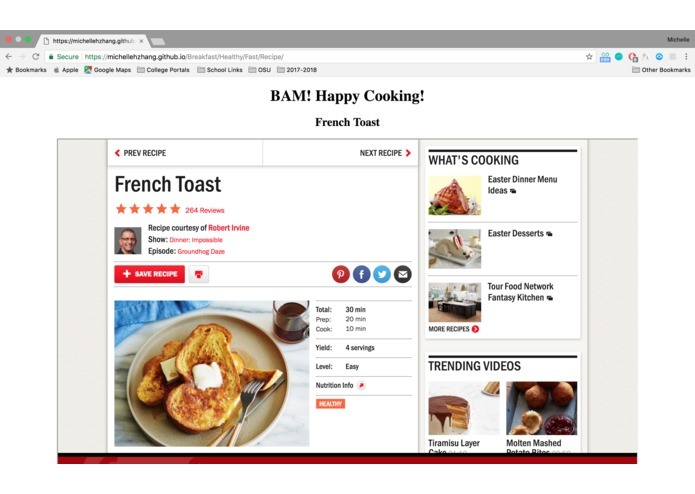 Not only would this be much easier on us in terms of coding, it would also be efficient and easy to add recipes to the database. Additionally, we can keep adding pictures to improve the aesthetic as well as more filters and options to support anyone’s dietary needs, such as vegetarian/meat-lover, allergy specifications, etc. Our website right now is simple and effective, but we are excited for future developments that will revolutionize Food For (Less) Thought.